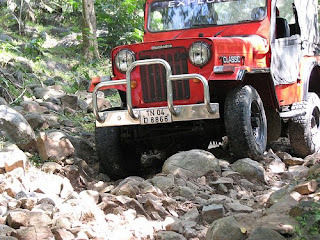 It’s been my dream to do OTR in a forest, but doing it in a forest is no easy task. First of all, no one is clear on which is the right path and what may be the obstacles. 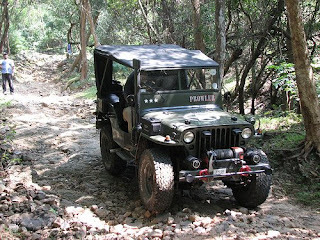 After my couple of visits to Jawadhu Hills, I called the folks in Jeep Thrills for a RECCE trip. 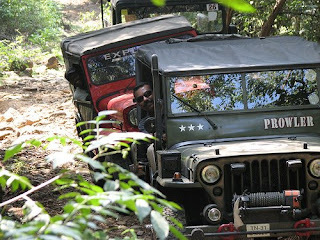 Thought it took some time to materialize but we could succeed it by doing nearly a 50kms offroad trail. 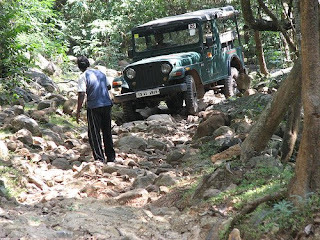 Bad roads, No road, Off road, Slushy path, Water crossing, Boulder crawling – we did all these during the RECCE. 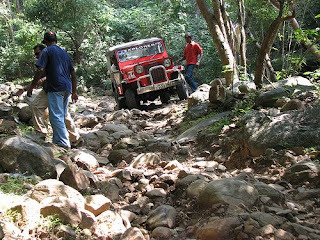 We had breakfast at Vandavasi and Lunch at Jamunamaruthur & in between we had highway and offroad exercises. After fueling the monster jeeps our trip started climbing up hills in Jawadhu. 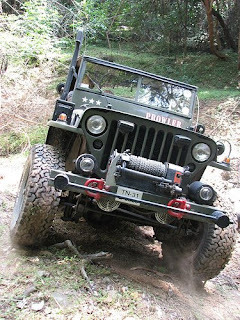 With 2 short breaks for smoke and discussing about our jeep building histories our third stop was directly on the offroad terrain. 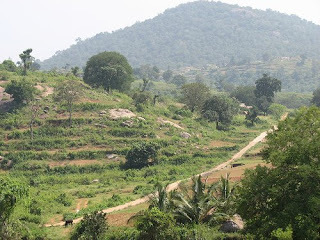 Jawadhu hills has around 270 mountain villages, people in these villages needs to walk for 4kms to 20kms to reach the main road. 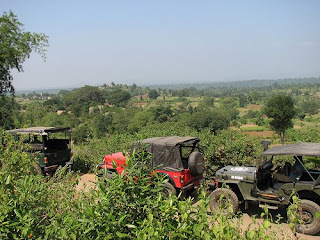 We rolled up our stuffs in the jeep to visit one of the villages that is 9kms from the main road, but people said only by walk we could reach them. But we had our machine and started rolling the wheels down to the path, and with in seconds the path was covered with boulders going steep into the jungle route. We made some preliminary plans and each one of us started crossing the boulders in dark jungle and hurray first success was written on the jungle. Dr. Jones did some extra stunts by driving the prowler in reverse climb. I saw a spark of interest in the tribal people’s eyes who gathered to watch our offroad activities. I think this is the first time they have seen an automotive piece coming near to their abode. The next obstacle we found in our way towards the village (Patraikadu) was couple of steep turns and slushy land.. ohhh Rajmohan crossed it first with his MM540, we witnessed his NDMS doing action perfectly. The entire route was too good; if there would have been rain prior to our trip I’m sure the OTR would have been more thrilling too. After some times we reached the village and U turned to face the challenges we experienced again, however during the slush action in the return trip I felt that my jeep started loosing power. He he he but no cause for worries… It was my mistake, as I was not driving it in the correct gear. After a while we reached the guesthouse and got appreciation from the jeepers for the accomodation. It was clean and neat; we took the air-conditioned accommodation and had our lunch (Parathas and Chicken Curry). Jeepers seemed totally tired after the long drive and offroad and they took quick nap. Then in the evening we went to the waterfalls discussing about interesting jungle experiences we had ourselves. 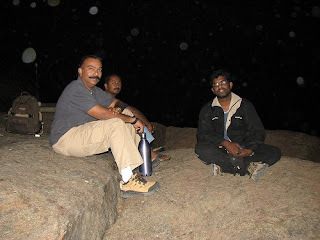 My friend Satheesh made the trip hilarious by his questions and face expressions in the jungle. The day two started a little delay as we had our break fast late. Then our stop for shopping wild honey pushed us 3 hours late. Dr. Jones also got some tow cable from the village shop for the jeep. Though we couldn’t get the jack fruit as this is not the season, we kept moving towards Athipet village from where our actual bad road travel towards Mettupattu village initiated. 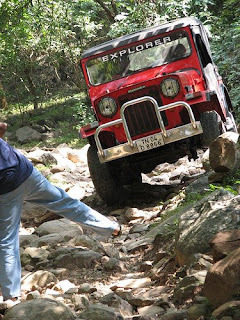 It was really struggling roads and in between we reached the mouth of Cheiyar River where we did our river crossing and fun filled jeep stunts. 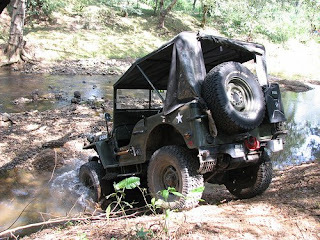 An ex-postmaster from Jamunamaruthur fell in lust with the jeep after watching Rajmohan’s machine playing in the river. 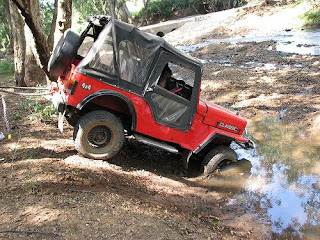 Oh… god I did my attempt to get into the river’s same path as others but the riverbed got digged little deeper after two jeeps crossed hence my attempt directed me to hit the river bed with my front bumper. Dr. Jones’s Prowler with his newly purchased tow cable came in first hand help. Effortlessly in a moment I was out from the struggle. Later I took another easy way to play in the water and came back to the road. Our trip from here towards Mettupattu was in the roads of beautiful scenic mountain villages and we really enjoyed the drive. In the whole trip, I didn’t get my eyes crying of stress as we witnessed various shades of green everywhere. 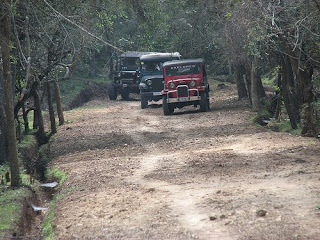 After crossing couple of villages we started seeing the roads going worse and worsen leading a great of jungle travel. 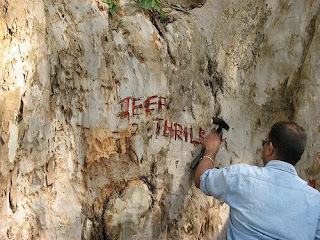 On the way we found a tree… Opps more than 30 ft circumference standing along with path, Dr.Jones marked our presence in the tree by sculpting “JEEP THRILLS” with an axe. That’s all our somewhat comfortable drive the rest of our day was filled with boulder and boulders crushing our energy very fast as we really lost the lunch time. After 6 hours in the 42kms stretch finally we reached the downside of the Jawadhu Hills which is called Paramananthal Village. 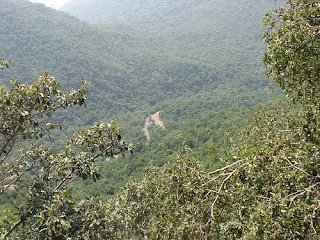 The final 14kms stretch was in the jungle and deep slopes in our sideways showing a dark avenue of trees. We drove towards Chengam town and picked up our Briyanis and Mutton towards my farm where we had our lunch with tender coconuts for our dehydrated tongue. After lunch at 6:00 pm we started our travel towards home and we expressed farewell to each other and the RECCE 1 was written as success in our books. 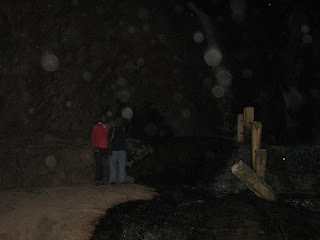 that should have been really a stomach chilling experience all the way. till the end of the article i was reading without a break. Man do I envy you ! I wish I could be there .hope U all had fun.happy 4wheeling!!!! 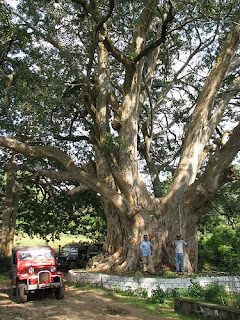 Hi Siva, My name is Gayathri and I'm a traveller on two-wheels. We are planning a motorcycle ride to javvadhu malai and as I was googling for accommodation info, I came across your blog. can you pls share the details of the guest house you have mentioned in your blog? we will be approx 9 of us on 8 motorcycles. you can mail me on g3.balaji@gmail.com. Thanks a million in advance.